Time to Replace Your Glastron Boat Canvas? Glastron has over 50 years of boatbuilding heritage focusing on muscle and style. Glastron owners love their boats. And if you’re a Glastron owner, we’re sure you do too. Glastron boats may stay in active use longer than any other brand. Their owners take great pride in maintaining them and keeping them running at peak performance. But accessories like the original canvas your boat came with are destined to wear and tear over time. Ameritex is the company who made that original canvas for well over a decade, and we’re happy to provide replacements to keep your Glastron looking like new. New, exact-fitting boat canvas replacement parts will not only make your boat look better – enhancing the unique styling that Glastron is known for – it will also provide the best protection you can get, helping to keep your Glastron out on the water for many years to come. 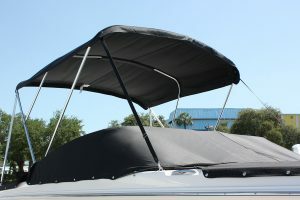 That because we worked directly with Glastron’s engineering team to develop boat covers and tops that were designed specifically for each of their models, as they were developing them. And Ameritex is the only company that can remake those parts again for you now. Keeping your Glastron as close to “factory-original” as possible is an investment worth making. It’s a commitment to the heritage that both you and Glastron take great pride in. Find out just how easy it is to restore the worn out canvas on your boat to brand new by submitting a no-obligation quote request now.